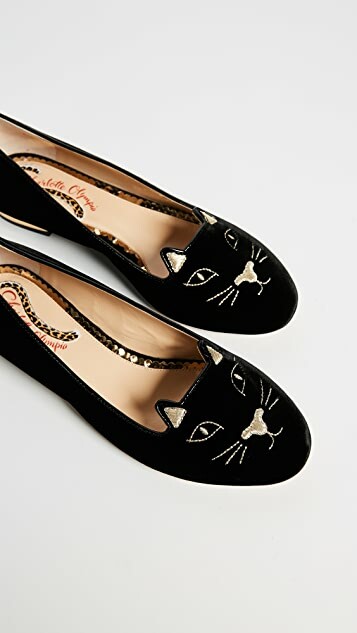 Signature Charlotte Olympia kitty flats in luxe velvet. Metallic embroidery details the vamp. Patent accent at the topline. Low, covered heel. Leather sole. 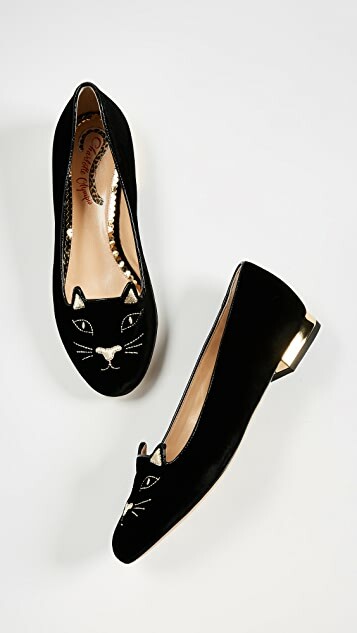 I had been wanting these shoes for the last couple of years and finally bit the bullet when there was a sale and I'm so glad I did! These go with everything and I get so many compliments when I wear them. Just like any pair of new shoes, they have to be broken in and as I have only worn them a few times, they still kinda hurt around the toe area but other than that, they are amazing! 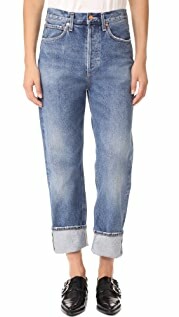 I am a Euro 40/US 9 and they are true to size. 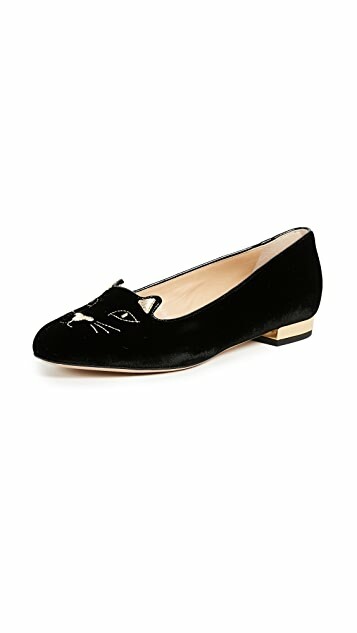 These run small, I normally wear a 9.5 (39.5) in flats and had to take these in a 10 (40). Also have in red. Very well made and very comfortable- no blisters after wearing for 10+ hours the first day. Worth the price tag! Very glad I am finally able to get these flats in size 34. 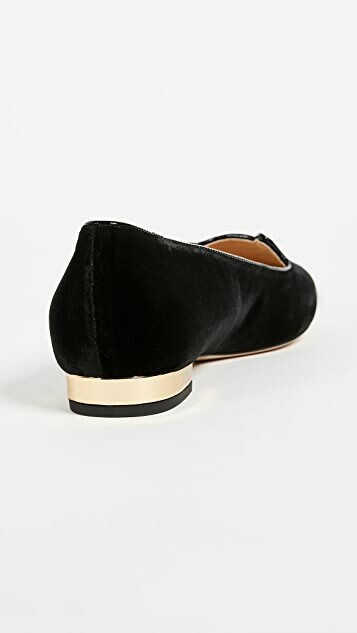 The Charlotte Olympias tend to fit roomier than other brands. 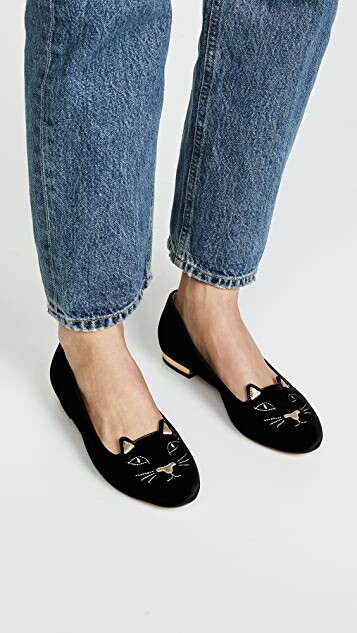 These are so adorable and adds a bit of height as well. The stitchings and design are very intricate and the quality is superb.